TasCaffe is Tasmania’s leading coffee roastery, supplying coffee to businesses around the state, interstate and internationally. Roasting coffee for Tasmanians since 2000 has enabled us to listen to and develop our business around the needs of our local customers. We know our customers and we understand our evolving local community. 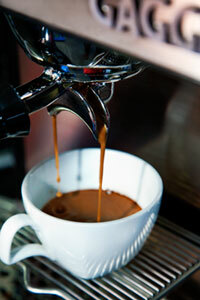 At TasCaffe our business is coffee. We are wholesale coffee suppliers and espresso coffee machine repairers.This means all of our attention is focussed on what’s important: Delivering premium coffee and ensuring our customers have minimal disruption in the unlikely event of coffee machine malfunction. We source premium grade coffee beans from around the world and have developed a variety of blends to suit discerning coffee drinkers and businesses. We have 3 dedicated coffee machine technicians on staff and on call 7 days a week. This means we can respond in an instant to any problems in your business – as our number 1 priority. In the unlikely event of a major machinery issue, TasCaffe has back-up machinery Ready To Go. This means minimal downtime for our customers. A range of coffee blends to suit situations and taste.